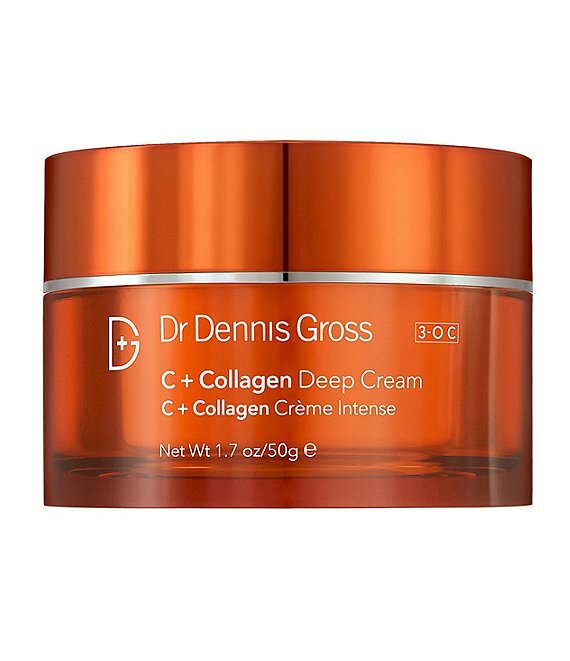 What It Is: A luxurious cream powered by 3-O vitamin C technology, collagen amino acids, and Dr. Dennis Gross proprietary energy complex to deeply hydrate, smooth,and brighten your complexion. What’s In It For You: Super, long-lasting hydration is in your future. When nature’s most powerful vitamins and nutrients are boosted with modern science, the results is deeply nourished, supple skin with a dewy glow. 3-O C vitamin C technology penetrates deep into skin to interrupt the formation of dark spots and wrinkles. An intense concentration of nourishing oils extracted from camellia japonica seed, sunflower seed, and rice bran provide rich moisture to repair skin’s barrier and reduce trans-epidermal water loss. Revive dry, lackluster, aging skin into a plumped, energized, and brighter complexion. How To Use It: Smooth over clean, dry face, neck, and décolleté. For AM/PM use. For best results, layer over a serum of your choice.